More and more municipalities position stormwater management at the top of their priorities. Our Aquastorm grass paver was released last year and since then, has been impacting lives and enhancing landscapes everywhere in North America. Discover the eco-friendliest of our permeable pavers with a through-the-roof infiltration rate. Have you noticed changes to your city's bylaws lately? Many municipalities are urging us to find new solutions for stormwater management. Plus, it’s obvious your clients are searching for new ways to be environmentally conscious. Fortunately, Techo-Bloc offers a line of permeable pavers that are as eye-catching as they are eco-friendly, and we extended it last year by introducing our very first grass permeable paver: Aquastorm. We test all our products and they always exceed industry standards. Our permeable pavers are no exception. Their surface infiltration rates range from 400 in./hr. to 2,395 in./hr. for Aquastorm. That's right! Depending on the area, a 100-year storm is typically 2 in./hr., while 90% of rain events are 1 in./hr. 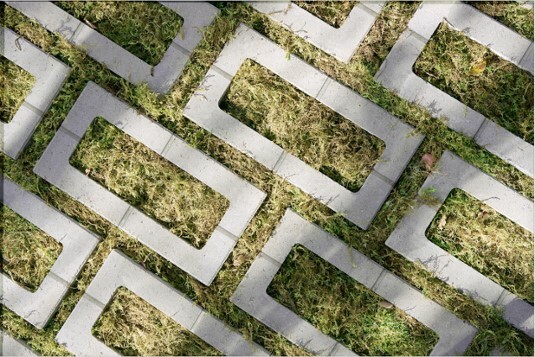 Our permeable grass paver can handle more than 1000 100-year storms at once. Infiltration rates don’t go any higher than this. We scored even better than we expected when we did a single-ring infiltrometer test on a newly constructed Aquastorm permeable driveway. The surface infiltration rate varies according to the joint fill material. We tested 4 different types: no.8 aggregate, no.9 aggregate, synthetic grass and natural grass. We found out that no.8 aggregates will give you the highest rate, while you’ll get a similar, but slightly lower rate for the other 3 materials. It’s all about what design your client prefers, since each material gives a very distinctive look. 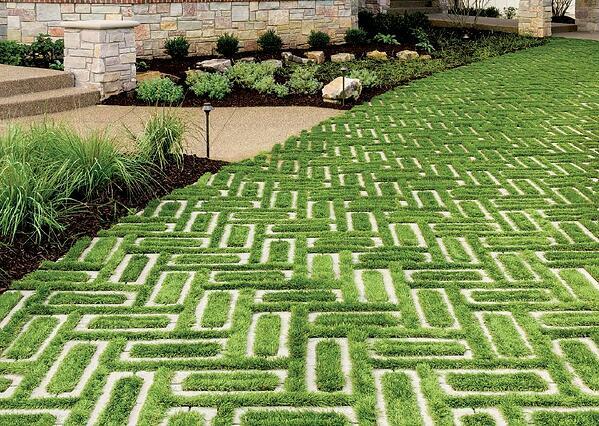 One of the materials we tested is a synthetic grass made by GardenMark. Synthetic grass stays green all year long with almost no effort at all. It permits huge savings and has a lesser impact on the environment by requiring less water. Go on their website for more details. Strong enough to survive vehicular traffic and designed well enough to allow grass to grow in between, our Aquastorm grass paver suits both the front and the back of the house. Its anti-flooding ability combined with our lifetime transferable warranty won’t cause any stress for your client, and no stress for you. Peace of mind sure is beautiful! 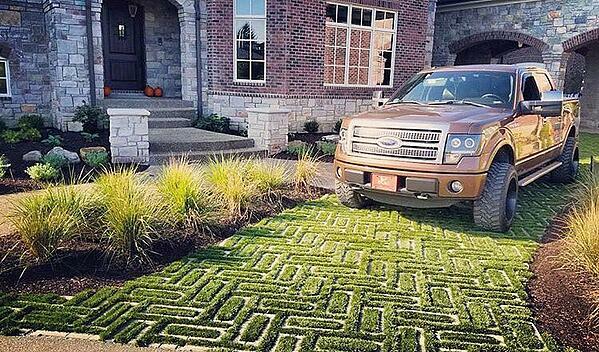 Plus, have you ever seen a grass paver than can do this? Imagine the design possibilities! Head for linear looks and green initiatives, and benefit from an easier installation thanks to the integrated spacers. If you haven’t started building permeable pavements, maybe you should consider this type of projects for the upcoming season. It’s not going to stop raining anytime soon, and building permeable means you won’t suffer from any rain delays and settlement issues! INTERESTED TO KNOW MORE ABOUT PERMEABLE PAVEMENT CONSTRUCTION?